In lomilomi wāwae we work with our feet and knees. We use sticks for balance, do backwalking and a lot of other beautiful and fun stuff. The full name for this style of lomilomi is Ka wāwae lomilomi ma ka papahele. It comes from the lineage of Aunty Maile Napoleon from Hawaii Island and has been practiced on the floor. In the old days of Hawaii massage tables were not used. It was the ground, on a HALA mat, where the recipient will undergo a lomilomi healing session. In lomilomi wāwae you start feeling the body with your feet, using gravity. While feeling through the layers of the body you will work on specific areas of discomfort or help someone to relax and align. Why using the feet in lomilomi wāwae? We use the feet in lomilomi wāwae because they have a larger surface area to cover more tissue. This results in a greater ability to apply pressure, work deeply and create a deep release for your clients. The feet in lomilomi wāwae are used to compress and flush tissues. They are also used to increase circulation, detoxifying and allowing the body to release and relax. Who will benefit from lomilomi wāwae? Working with the feet is ideal for larger clients and athletes. Because of the ability to work deeply it is great for those who can never get enough pressure. Clients seeking improved posture and movement, pain relief and a state of well-being will love this work. Besides that it is ideal for people who are hesitant to take their clothes off since the work is done with clothes on. What do you learn in lomilomi wāwae? 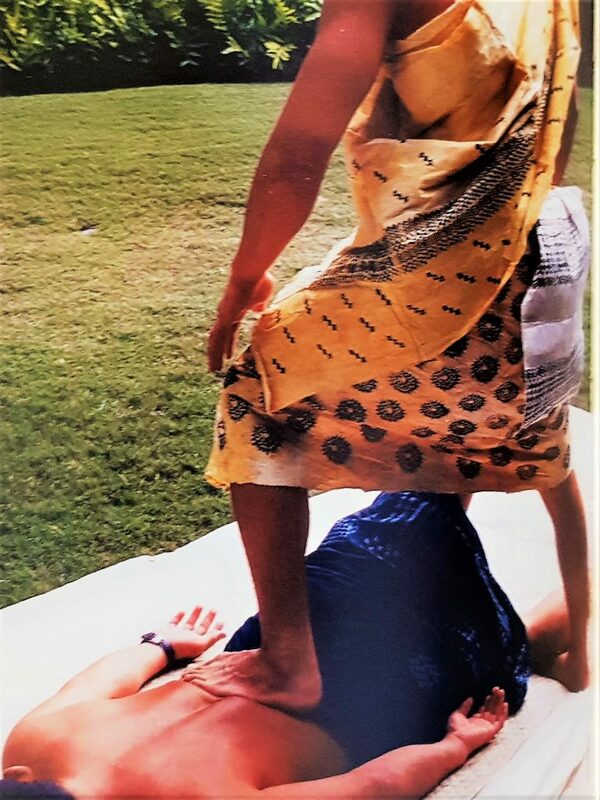 As practitioners you learn to approach the KINO (body) from a standing and kneeling point of working. This position requires a flow between your own kino and the kino of the person on the ground. In order to create that flow the practitioner needs to connect to and start working with gravity. Our feet will intitiate healing for our clients. At the same time this work will support you as a practitioner to become stronger, more balanced and more flexible. Yes, I want to sign in!